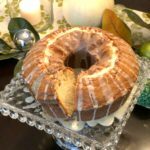 Celebrate the holidays with this extra special pound cake flavored with rich eggnog and warm spices of cinnamon and nutmeg. 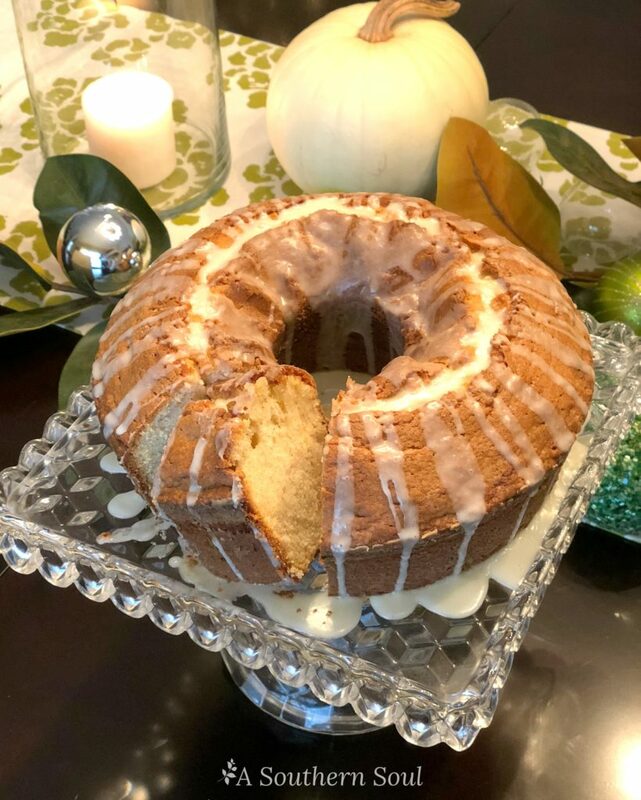 There’s just something special about pound cake and this one is an outstanding addition to my Christmas dessert line up! 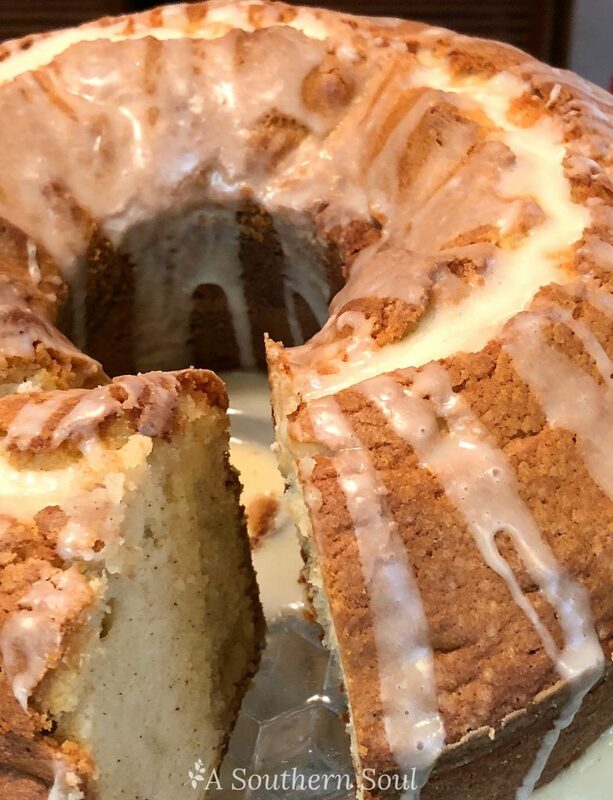 It’s no secret that I have a love affair with pound cake. I’m not sure if it stems from my southern roots or not. 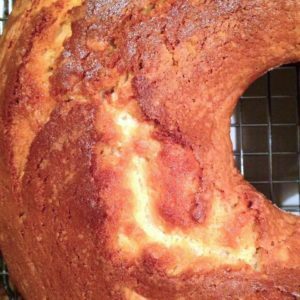 Traditional pound cake is a recipe most every cook I know has in their back pocket. These great cooks can whip up a cake from memory and trust me, it will turn out great, every time. I follow suit in that regard but I do like to mix things up from time to time, thus, his new recipe. 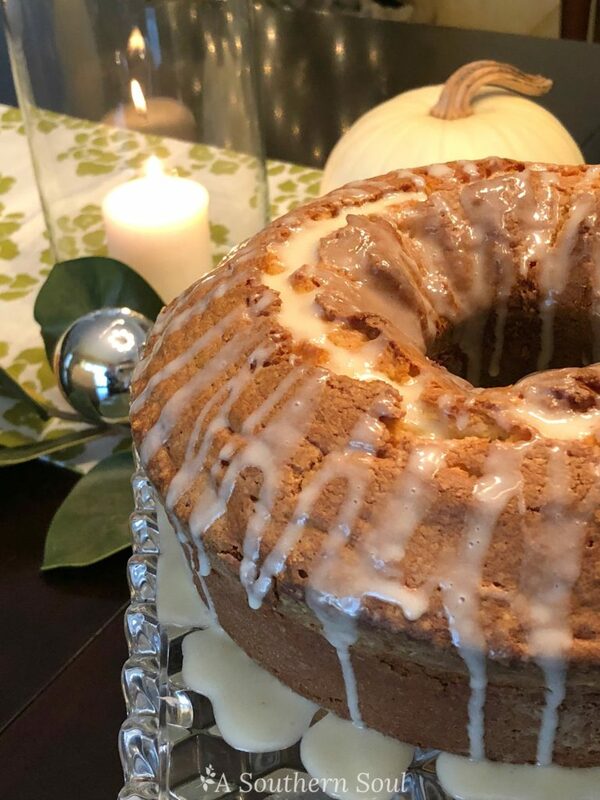 To put a seasonal spin on my cake, I used my tried and true pound cake recipe but switched up one of the main ingredients. Instead of milk, I used eggnog. Now…let’s talk a bit about the “nog.” I’m really not a fan of eggnog. I sort of like it when it’s home made and has a slash of bourbon in it – wink, wink. With that bit of honesty, we can get back to the cake. 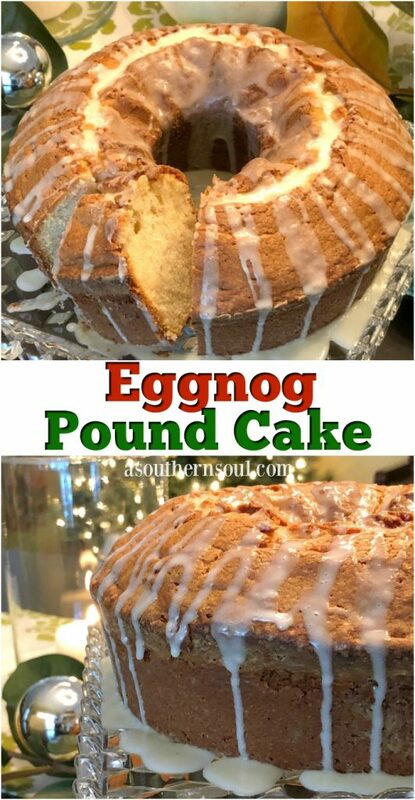 I wanted to use eggnog in my cake because of the rich flavors it would give along with an delectable texture. Next, I added cinnamon and freshly grated nutmeg. Once the cake started baking in the oven, I knew I had a winner. My house was full of heavenly aromas that tempted my family long before the cake was ready to eat! Once cooled, I put on the crowning touch – a luscious, syrupy drizzle of more eggnog mixed with confectioners sugar. 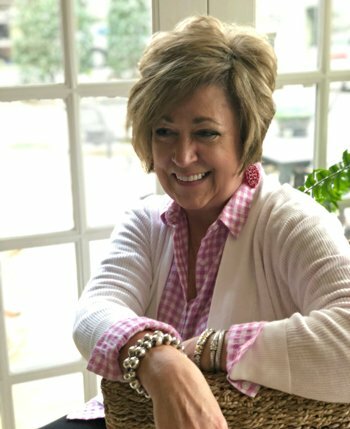 All you need at this point is a cup of coffee or maybe a little eggnog on the side! 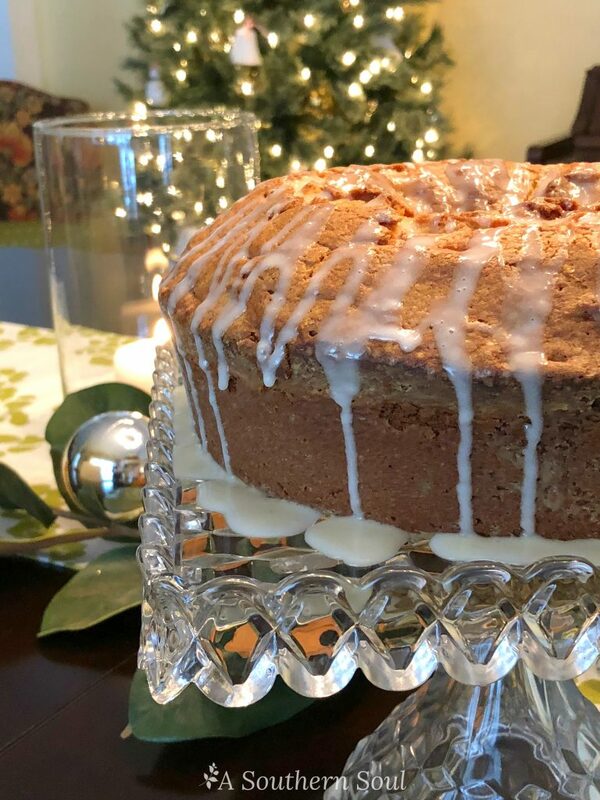 Loaded with the rich flavors of the holidays, this eggnog pound cake is a favorite for any winter celebration! Heat oven to 325 degrees. Prepare a tube pan by coating with cooking spray and dusting with flour. Using a stand or hand mixer, cream butter and shortening together. Mix in sugar and whip until light and fluffy. Add in eggs, one at a time, blending thoroughly. Continue to mix while adding in nutmeg, cinnamon and vanilla. With beater running, add flour and eggnog alternating into sugar mixture, starting and stopping with flour. Pour into prepared 10 inch tube pan. Bake for approximately 1 hour and 15 minutes. Test for doneness by inserting a skewer that should come out clean when cooked completely. Let cake cool for 20 minutes then remove from pan. When cake is completely cooled, store covered. In a small bowl, mix together confectioners sugar and eggnog until smooth. Drizzle over cooled cake. I love it, Diane! This cake is so easy to make we could do one with bourbon icing and one without! Hi you didn’t say how to make the syrup to go on top of the cake you said that you used eggnog and confectioners sugar. Thanks for catching, Quatisha. I’ve update the recipe! 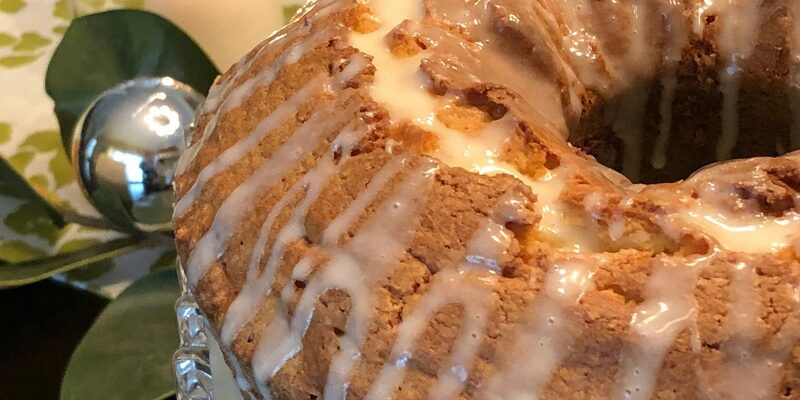 What type of glaze is on the cake? How come it’s not in the directions? Apologies Chris. It was an honest mistake. 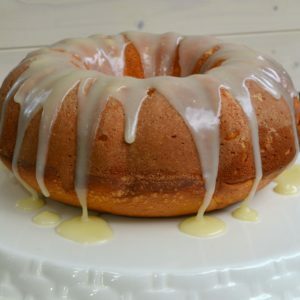 The recipe is update with glaze instructions. Please specify what type of flour to use in this recipe. I did not see it calling for any kind of baking soda or powder so I assumed you used self-rising flour. Wrong! My cake flopped and ran all over my oven. Guess I should use All Purpose. Is that correct? So sorry your cake did not turn out! Correct – DO NOT USE SELF RISING FLOUR. Follow the recipe exactly using AP flour. You DO NOT need to add any additional leavening,the cake will turn our perfectly. I hope you’ll give this recipe another try. Feel free to message me on FB with additional questions or send me an email. Which kind of tube pan is best? I have a silicone, a dark one and a light colored on.e. Does the cooking time change? I personally would like to make it in a loaf pan. Hey Christine! I use a traditional light colored, aluminum tube pan. If you want to use a loaf pan, that’s fine too. You’ll have enough batter for 2 cakes. I divide the cake batter in half and bake the cakes at the same time. I do take off about 10 minutes – start checking then to make sure they are done but not over cooked. Hope all this helps! Hey Jane. You can use cake flour but will need to add 2 tablespoons to every cup of cake flour that you use. I hope this makes sense. 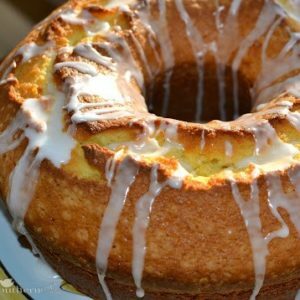 Everyone in the house says that this is the best pound cake that I make! I hope you enjoy it. Let me know.